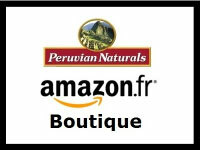 Among all our new products this year, Peruvian Naturals has launched organic Cacao Nibs and powder. The nibs come in an 8.8-ounce (250 grams) pouch. Nibs are the certified-organic filling of the cocoa bean. Power-packed with nutrition and bitter, they are more like nuts than chocolate. The powder is the flour of whole, unprocessed cocoa beans. It comes in a one-pound pouch for $11.99. For a limited time you can buy get a free pouch of nibs when you buy a pound of powder. Add the nibs to your cart. Add the powder to your cart. At checkout, apply this promo code: FREENIBS. 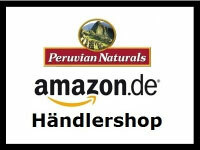 If you like these products, PLEASE LEAVE A REVIEW. For us to keep new products around, we need to know you like it. So leave us a review on Amazon, thanks! 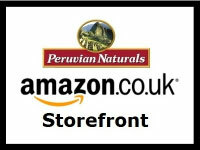 If you’re too late to take advantage of these deals, sign up for the Peruvian Naturals newsletter to get all the scoops. 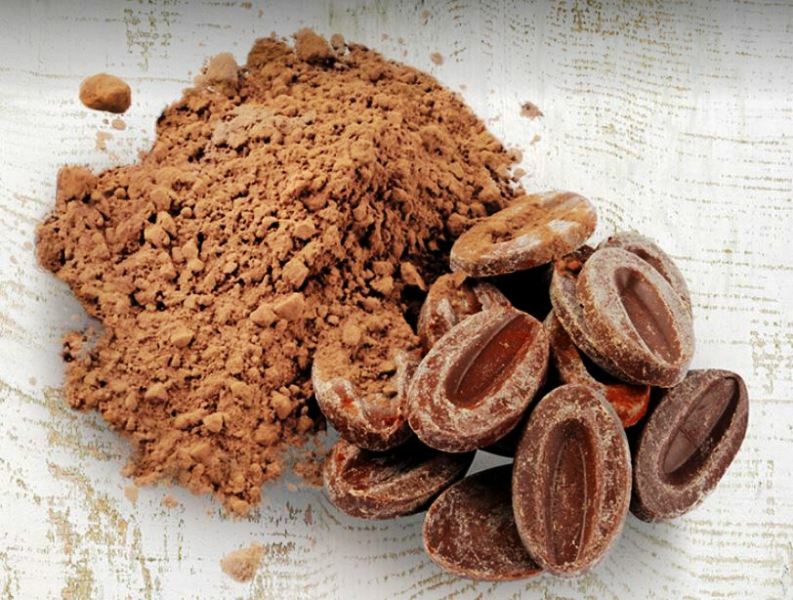 Cacao powder is ground from the roasted beans of the Theobroma cacao tree, native to the rainforests of Central and South America, while nibs are the inside filling of roasted beans. For the powder, the cocoa butter and natural fats are removed while the remaining filling is ground into flour. Nibs are unprocessed. 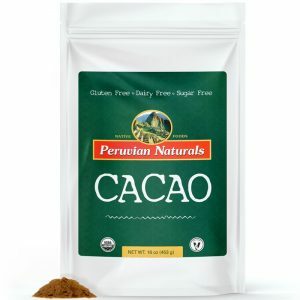 Natural cacao powder can be used to make your own chocolate at home with healthier sweeteners and fats, or in baking as a substitute for traditional cocoa powder. 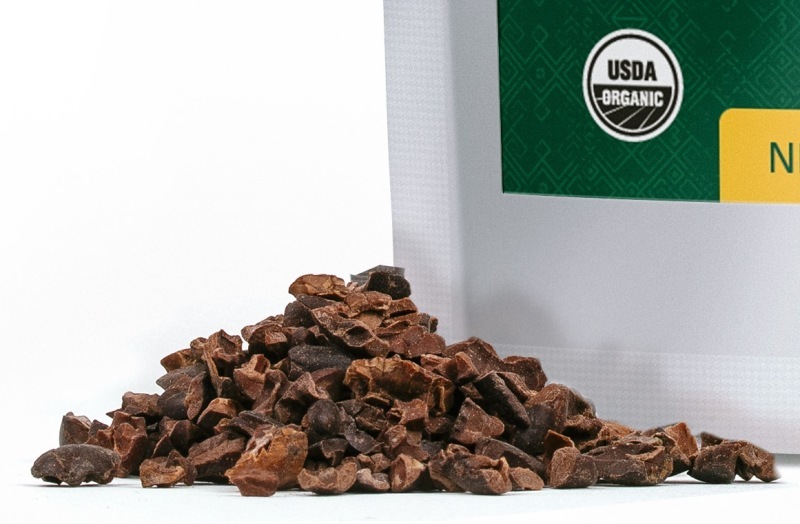 Organic cacao powder is packed with fiber, iron, potassium and other vitamins and minerals. 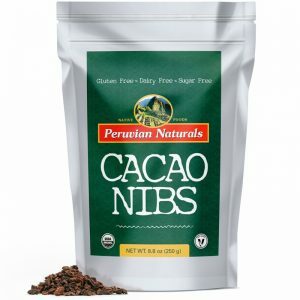 Cacao Nibs can be eaten by themselves as a nutritious snack, mixed into yogurt, cereal and smoothies or used in cooking to make healthy chocolate chip cookies and brownies. 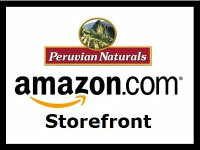 Peruvian Naturals Cacao Powder and Nibs are certified organic by the United States Department of Agriculture (USDA).